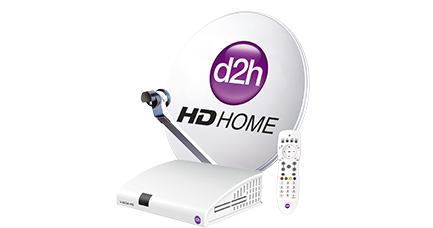 d2h, the fastest growing DTH service Provider in India has added 2 new High Definition channels Zee Cinema HD and Zee Studio HD on its platform. 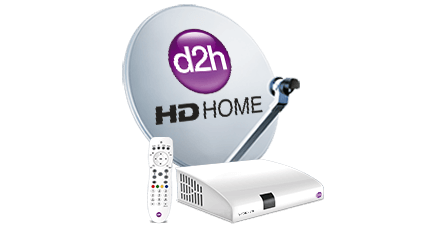 With this addition, d2h furthers its lead and is proving to be an undisputed leader now in the HD category with 36 Asli ""HD"" channels. 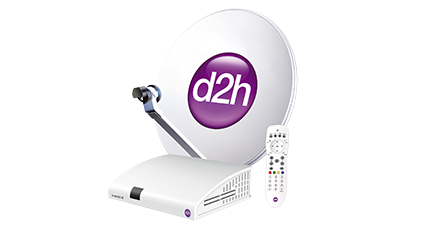 d2h also provides the maximum number of 400+ channels and services on its platform. These channels are available on the d2h platform from 31st August 2012 onwards. These channels are available under all the HD packs. Both these channels provide the best of Hindi and English language movies, the excitement of which will be even greater when viewed in High Definition. Mr. Saurabh Dhoot, Director - d2h group said, ""d2h intends to continue introducing new channels and services by recognizing the needs of the consumers. There is a special focus on High Definition channels; the addition of these HD channels is a definite step towards that aim which provides us a definite edge. We want to be able to surpass customer expectations and bring highest quality entertainment to their doorstep. "" Mr. Anil Khera, CEO d2h added ""Adding Zee Cinema HD and Zee Studio HD to our catalog of channels adds a lot of value to our offerings. Zee Cinema HD is an extremely popular Hindi movie channel while Zee Studio HD provides the best in English cinema. The HD feed of both these channels will take entertainment to the next level. Providing more entertainment options available to our customers is always a priority and is a long term commitment to our subscribers."" d2h has over 6 million subscriber base and is the youngest to achieve the milestone. It is the fastest growing DTH service provider offering 400+ channels & services, the highest in the country. d2h also has highest number of 36 Asli ""HD"" channels, highest number of sports channels, leading GEC channels & highest number of regional language channels on its platform. Powered by the MPEG-4 and DVB-S2 technology, d2h offers unmatched services like 12 PIP Mosaic, d2hCinema, weather updates and multiple tickers to transform your TV into a hub of entertainment and knowledge. It offers High Definition channels in 1080i Resolution, HDD Sound, 5x digital picture and 16: 9 ratio. Apart from these, it has Active Music which includes 41 Audio / Video music channels 24 hrs a day in different genres which is unique service. In addition, d2h provides round-the-clock prompt and efficient customer support in over nine languages from the dedicated customer care team present in 7 locations.